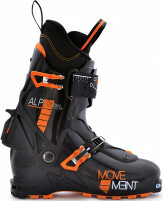 Movement’s Alp Tracks line has been the go-to for skiers that want a high-performance ski at a silly light weight. Now available in the “goldilocks” size, the Alp Tracks 89 is Movement’s way of contending for a one-ski-quiver. With enough tip rocker to downgrade challenging conditions into simply “conditions,” the Alp Tracks 89 floats well above what its waist width would indicate. Even though it has plenty of soft snow prowess, it is even better when it comes to steep or icy terrain as the stiff camber keeps your edges in control. Light enough and precise enough to handle even the most technical skin-tracks, the Alp Tracks 89 incorporates an ABS Micro-Sidewall underfoot to reduce chatter, increase edge hold, and improve impact resistance when things don’t quite go according to plan. Once the usable edge length has done an excellent job carving, the tail quickly tapers and turns up slightly. This helps you release smoothly from turns, aids in inserting the skis into a ski-carry loop, makes skiing crust slightly easier, and quickly gets out of the way during jump turns. If Goldilocks was looking for a ski that could do a lot of everything, we’d recommend she get the Movement Alp Tracks 89. Ultralight Karuba wood core and carbon weave ensure maximum liveliness and power. ABS-Sidewall underfoot promotes heavy-hitter capabilities in one of the lightest skis in category. Rando Edge is more durable than a race edge, but lighter than an alpine edge. P-Tex 5000 base is fast, fast, fast, just like the ski. Mostly hand-made for extra cool points. Update 2018/19 - New topsheet graphic, everything else the same. Shape Round tip, medium turn radius, tapered tail. Construction Carbon wrap with half-sidewall. Bottom Line Light & aggressive all-mountain ski. Please help me with the nomenclature. Is there a difference between Alp Tracks and Alp Tracks LT? Does the LT represent a different build or a different model year? Hi Matt, no difference! Sometimes the limited (LT) nature of the product is highlighted. I would appreciate some help determining where to mount these . Do either of the two lines at mid ski mark mid boot? Hey Coury! Neither of those lines indicate the mounting position, but near those lines there is a row of numbers (serial number, etc) and letters and whatnot. In the middle of that jumble of letters is an arrow pointing away from the center line of the ski towards the sidewall and that's your mounting location! After reading that it sounded pretty complicated so I figured I'd just upload a picture to eliminate any confusion I may have just caused! The arrow in question is between 62/ and /Ø41.  I am going to purchase the MOVEMENT ALP TRACKS LT 89 and have you cut the skins to fit. You are out of the Pomoca Pro S-Glide 165-180MM, so should I order the universal skins? How much extra is it for you to cut the skins? Hi Andy, that would work! Otherwise, we expect more 165-180s within a week. A skin trim is currently $15, with our full price list here. Thanks! I am trying to choose a new ski for 14er and 13er spring ski mountaineering objectives in Colorado. I am deciding between Blizzard Zero G 95s, BD Helios 95, Fischer Hannibals and Movement Alp Tracks 89. I am a strong skier, but would appreciate some forgiveness after 6k ft day. Mostly I am looking to ski couloirs in 45-55 degree range in variable conditions. I am 5"3 and 130 lb and need skis no longer that 165 cm. What would you recommend? Hi jbo, thanks for the answer. Hannibal comes in 162. I have yet to demo Helios, so maybe it's a good place to start. I loved how Zero G skied on fresh legs, and not so much when tired. Hi Natalie, thanks for reminding me, we didn't actually stock that length, but maybe should have. It could be a decent option, they are quick edge to edge in the appropriate length. More of a powder ski than a couloir ski in my opinion though. The Movement is good in tight spots, the Helio is on the border of getting too wide, but certainly some bigger folks like that extra support.